- Uses 3XAAA batteries. NiMH work fine. - No lag, plays and feels almost identical to the wired version. Very responsive. About the same weight. - the dongle that hooks up to the ps2 is pretty small. - You can use two at the same time according to the manual. - You know it's compatible because these aren't some cheap 3rd party knock off. 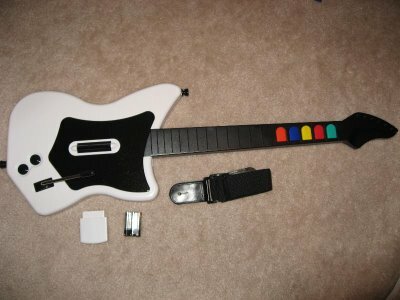 Guitar Hero II works great with it! Highly recommended if you just can't wait for the X360 version (which still isn't confirmed if it will be wireless). 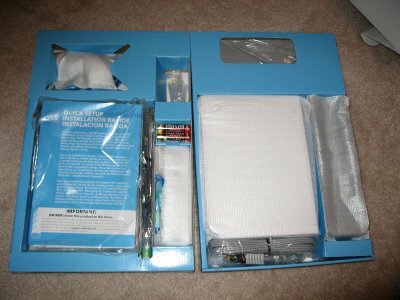 - Getting the thing out of the box was like a puzzle (getting it back in was even harder). - Wireless to the console. Still requires power from an outlet for force feedback. 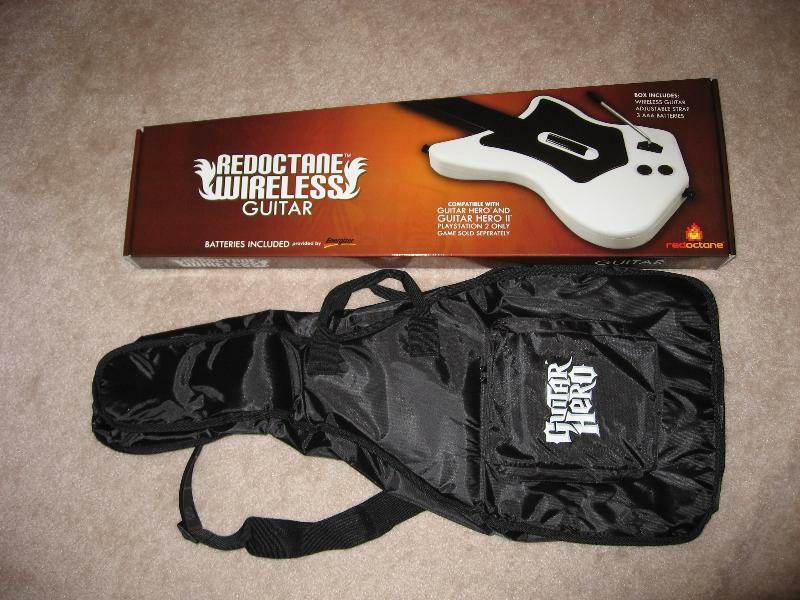 You can still use it with only rumble support on the 2XAA batteries (standard xbox 360 controller battery pack). - Should work with the PC once the wireless PC adapter comes out. - The pedals are well thought out including a place for your heel to keep it in place. 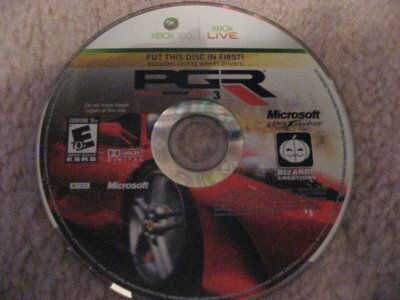 - Comes with the full version of Project Gotham Racing 3 which also contains the drivers. It reads your existing profile/save game if you already have the original PGR 3. - Wheel is a bit light. Also the curved lap mount doesn't extend far enough. 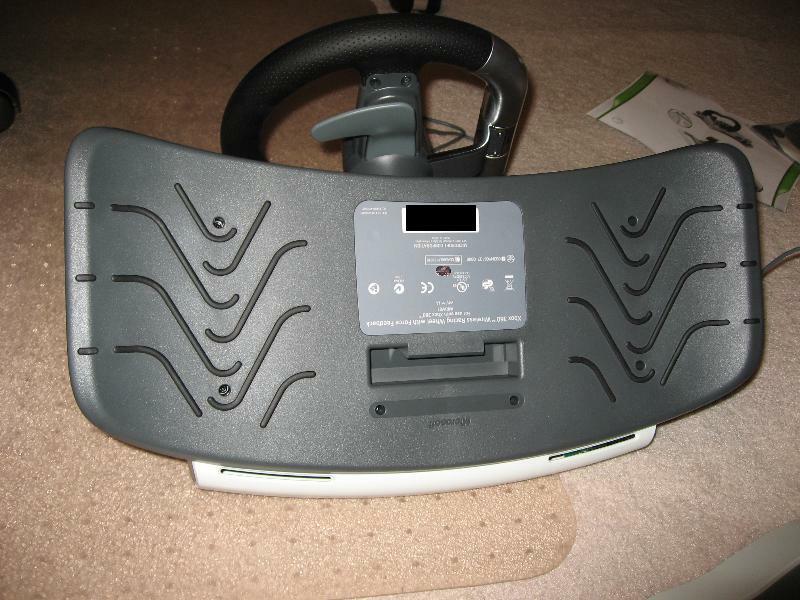 Mad catz had a last gen wheel (no force feedback) that had retractable wings that extended for a very solid lap mount. You can push your legs outward with a slight bit of pressure to keep the wheel steady in your lap. It was a pretty good design. 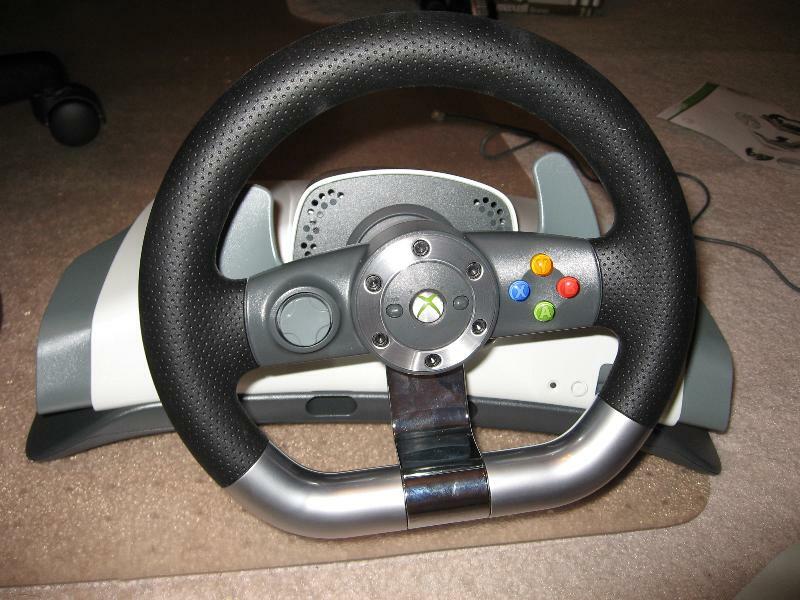 In contrast the MS wheel just kind of sits on your lap and doesn't wrap around your legs far enough. - I didn't bother trying the table mount. It only has a single bolt in the center. 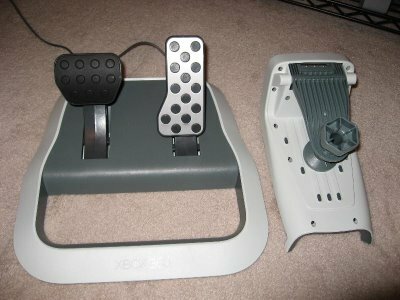 Compare this to the Logitech MOMO Racing wheel for the pc which uses two bolts. - Force feedback effects felt pretty good in PGR 3 if a bit subtle for my tastes. I've already played this game to death so I didn't mess with it much. 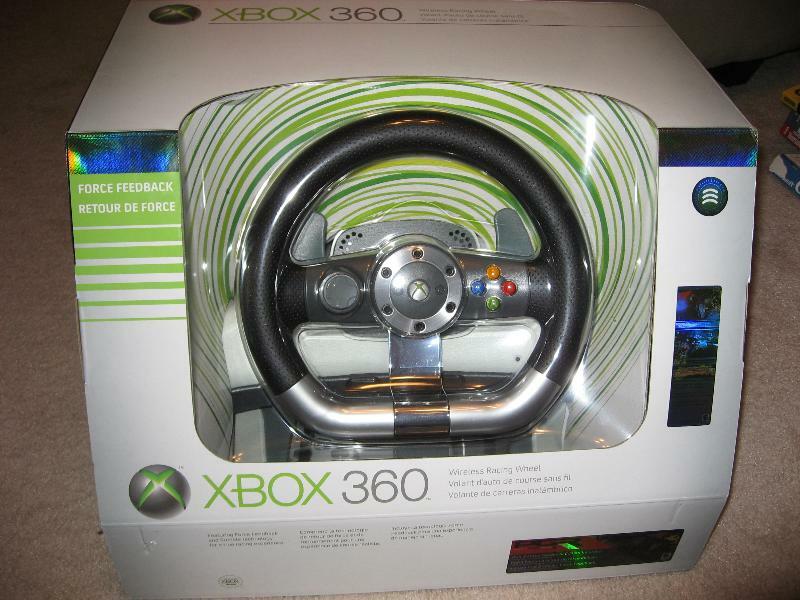 - I've just started playing NFS Carbon which is fully supported by the wheel. The force effects are even more subtle here. The rumble effects are very pronounced (read exaggerated). The steering sensitivity seems way too high and the dead zone a bit too small. Too bad there is NO way to adjust any of this. 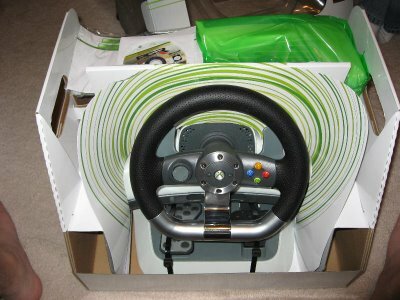 I tried to get use to the wheel for several races but finally gave up. I went back to the game pad and did MUCH better. 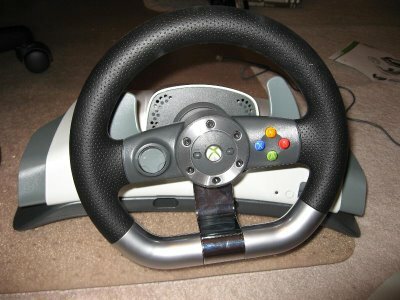 I played NFS most wanted on the PC with the MOMO and it was a MUCH better experience with the MOMO with much better force effects. - slight redesign of the fan stand. I like this one better since it doesn't have the useless "wings" for storing stuff taking up space. - draws power from USB so no chance of burning out your power plug like some reports I read about the Nyko Intercooler. - It's much quieter than the Nyko but tests show it cools a bit less. - It has a usb pass through so you don't lose the usb plug on the back. I have the hd-dvd drive piggy backed on the cooler plug, and it works just fine. - There is a blue led power on/off button on the front. 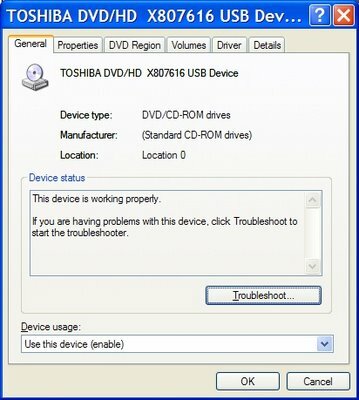 You have to manually turn it on/off since the usb ports are powered (used for charging controllers) even when the x360 is off. That is the only draw back I see so far. Highly recommended and safer than the Nyko Intercooler if a bit inconvenient. I took my pelican cooler one step further. I added a separate powered usb hub to power the pelican fan so it's no longer even connected to my x360. 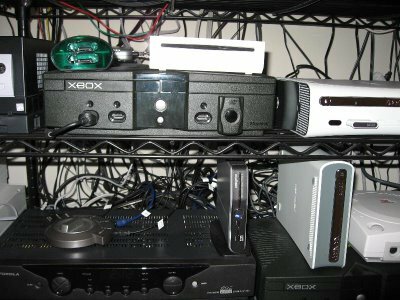 On top of that I added an X10 appliance module in front of the AC adapter for the usb hub. Then I have an IR -> X10 command module. Then, I programmed this all into my "play x360" activity on my harmony remote. Now when I hit that activity it turns on everything including the pelican fan (and also off when I shut everything off). Yes, I'm THAT lazy! - $4 at each with a purchase of a value meal. I ended up spending $27 total on food and games. - Combo DVD. 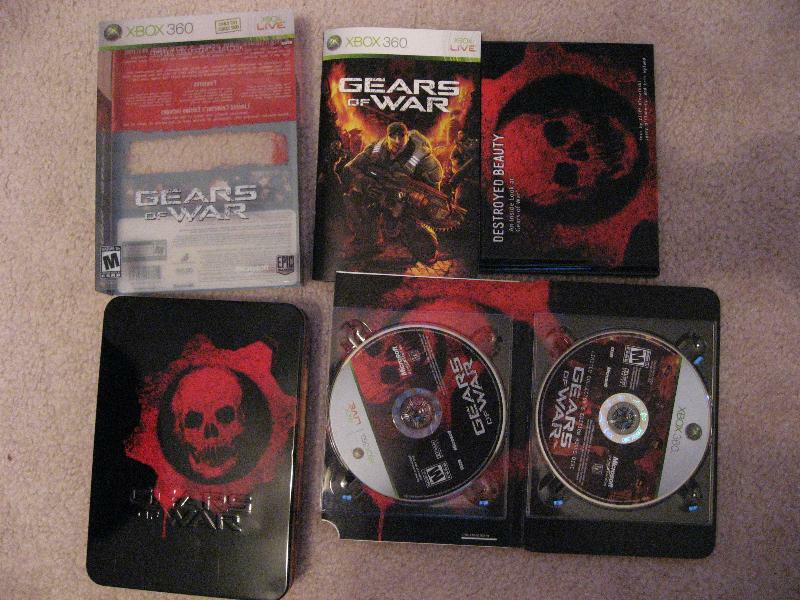 They work like the OXM discs in that they play on X360 or XBOX. - You get achievements (200pts each game) and live multiplayer support. Pocket Bike Racer is actually not too bad a game and runs pretty smooth with up to 8 players over live. 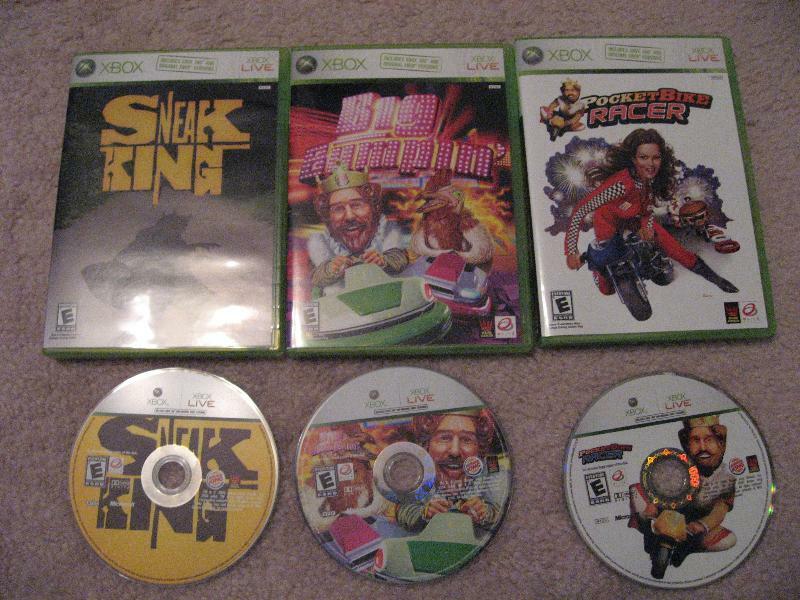 Sneak King is truly disturbing and is worth checking out just for the quirkiness. Do a flourish level 3 (boy those gears of war active reload skills are coming in handy) and get ready to be deeply disturbed. - Big Bumpin is the weakest of the three. - More importantly I finally got to try chicken fries which I have been interested in ever since fight night round 3. They're not too bad but I expected them to be more crispy. 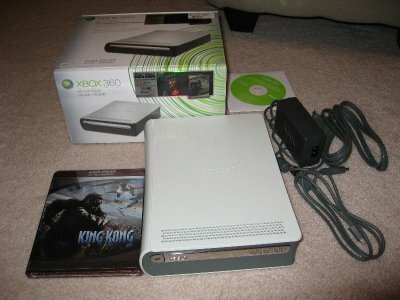 - The system is tiny...really tiny, smaller than most 5.25 enclosures, smaller than the xbox 360 hd-dvd drive. - It only comes with composite cables NOT EVEN S-VIDEO! I've ordered the 1st party component cables but they haven't arrived yet. 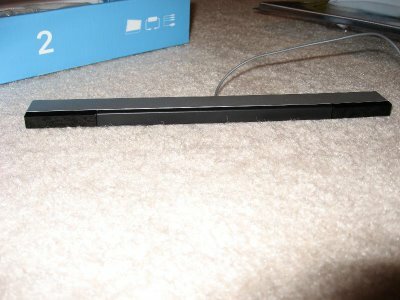 - The sensor bar is pretty small and hard to notice. You have 3 ways to mount it: below the tv, above the tv, or on an included stand. It uses adhesive to stick to your tv. It was also slightly warped (bowed) so both ends wouldn't stick down. 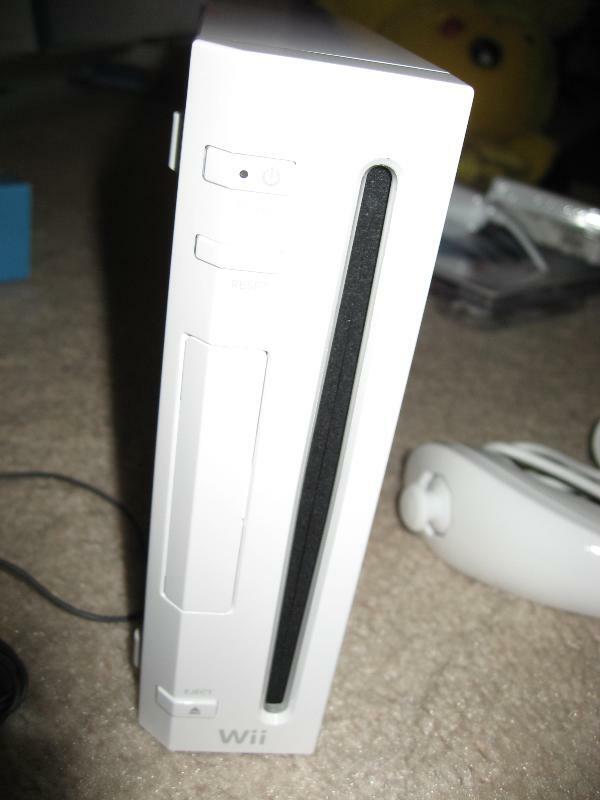 This happened to my friend's wii too so it's not just mine. - Setup was pretty easy though there are a lot of parts. There are legacy gamecube ports for the gamepads and memory cards. Two usb ports are on the back. I stuck a 1GB sd card up front. The unit has about 256mb flash memory built in. - All games seem to have to support 16:9. 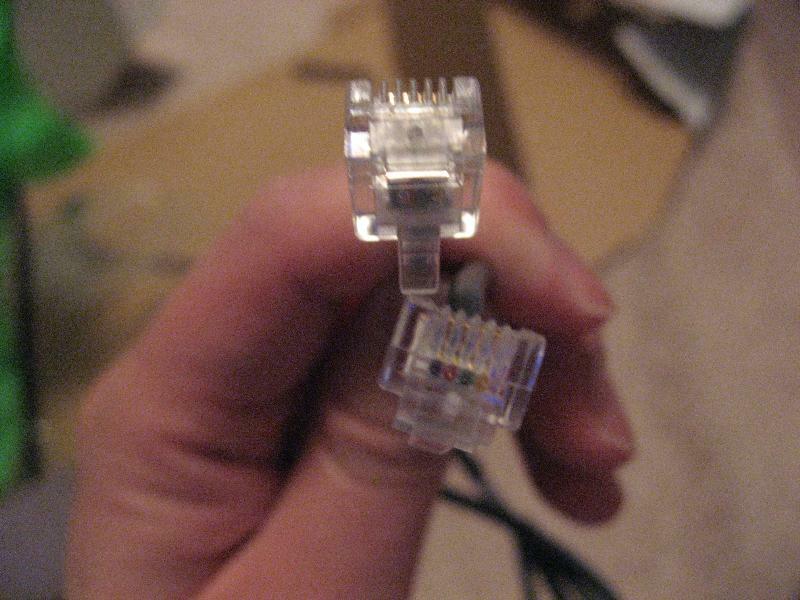 - Wifi is built in but ethernet is not. Setting up the network connection was as easy as entering my wep key. Overall network responsiveness is a LOT slower and more sluggish than the x360. It had to go through two system updates each taking quite a bit of time. - The main interface uses a grid of TV's metaphor. It's kind of cool in a matrix architect sort of way but I can see it getting a bit cluttered and unorganized pretty quickly since each virtual console game is represented by a different tv screen. Also, news and forecast channels aren't live yet. - I haven't dug into the friends and messaging stuff much yet but it seems like you can link an online account an my.nintendo.com with your wii account. Also your wii is represented by a 16 digit code. Boy do I miss gamertags. - Purchasing points (1 pt = 1 cent) was easy enough. I bought NES donkey kong for 500 points ($5 USD). Lets do a little comparison with xbox live arcade. For x360 retro aracde stuff for $5 you usually get the original game, enhanced graphics version, screen size customization including fixing the aspect ratio, leader boards, achievements, and usually live multiplayer where applicable. With the wii virtual arcade I get a perfectly emulated NES game and not much more. The screen is all stretched out to fill 16:9 with no options to adjust aspect ratio in the game. I guess I could change it at the console level but this sort of thing should be at the game level for retro titles. Overall it seems little to NO effort is made into these ports and yet they are still charging us the same $5. There's no comparison. The wii virtual console is a horrible value as of now (read RIP OFF). There are only a handful of games available right now. At least the wiimote worked pretty well with no lag at all. It felt very responsive if a bit uncomfortable to hold. 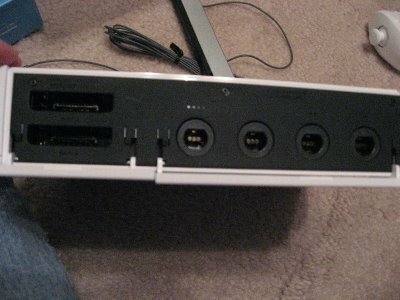 Game Cube controller worked just fine in the virtual console (just make sure you plug it in before turning on the wii). - Storage management is still done by the block units. 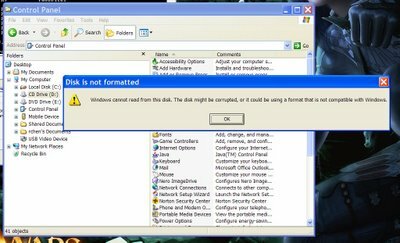 You can easily copy between SD and internal memory but gamecube and wii storage are completely separate with no way to copy between them. - Gamecube backwards compat seemed to work just fine when I tested Zelda wind waker and ocarina of time. There's pretty much almost no reason to leave your gamecube connected unless you have one of those gameboy advance player adapters (which I do). - The wiimote takes two regular AA batteries (yes standard user replaceable batteries!). All the power comes from the wiimote so the nunchuck is usless by itself. The little speaker on it worked better than I thought and added a lot to the experience. The range, wide angle, and tracking was also better than expected. - The slideshow channel works quite well. I popped in a 4gb fat 32 formatted SD card from my canon sd700 digital camera. It played back all the photos and movies (motion jpeg) in date order without issue. It has the same wipes/zoom effects in slide show mode that you would expect. It must do heavy cropping because all the movies and photos filled the entire 16:9 view. You can pick from a selection of background music or your own mp3. According to the manual the only file types supported are jpeg, motion jpeg for movies, and mp3. No network streaming support at all. - Basically Wii's online support is composed of text messages, send pictures, and some retro arcade stuff. 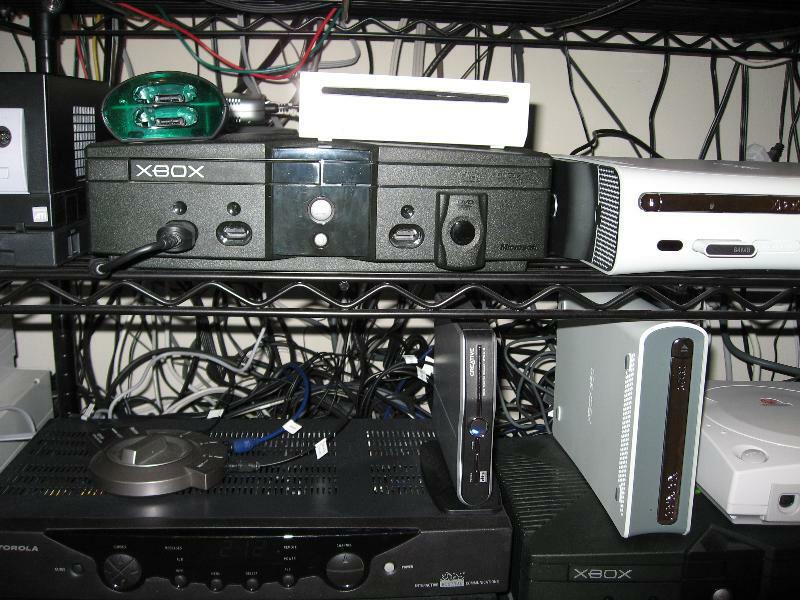 Basically about 10% of xbox live's functionality. At least it's free but I guess you get what you pay for. - Ok enough about the system. On to the games. First up is wii sports. My wife and I played all the games for a bit and it was quite fun if simple and a tad shallow. Most of the games work quite well especially bowling. Even my 4yr old had no problems playing bowling. I think golf and boxing maybe had the most tracking issue (though mostly minor). Boxing is the only game that requires the nunchuk since the wiimote and the nunchuk represents each hand individually. If you hold both controllers close to your body you can bob, duck, and weave too. The range of moves you could do was pretty impressive if some what a tad disconnected to your movements sometimes. It was like tae bo the video game. I'm sure we looked totally ridiculous while playing it but had a lot of fun. Great choice as a pack in. - Red Steel. Ok the reviews are bad but I didn't care since I like FPS and this was a wii exclusive. Ok believe the reviews on this one. 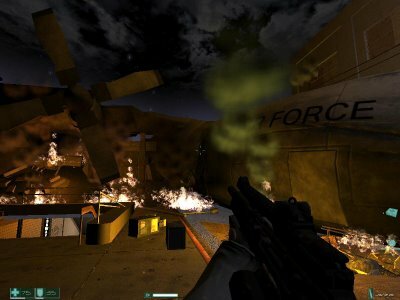 The game was pretty ugly (think almost n64 era with a bit better framerate). Ok maybe my opinion on the graphics are slightly skewed because I'm coming from playing gears of war for 20hrs. The controls were pretty innovative with quite a bit of interaction (I haven't even got the sword yet). You can zoom in and out by pushing the wiimote closer to the screen or pulling it back. I think I need to lower the sensitivity because I had a hell of a time aiming. Also, you tend to spin and look around a lot making me motion sick. This game has a lot of interesting ideas that just wasn't executed very well. I'll have to adjust some settings and give it some more time. - Trauma Center: Plays pretty close to the Nintendo DS version except I find maybe the wiimote a bit less precise to the stylus. I'll have to give it more time and see if I get use to it. I've only played the very first level. - Zelda Twilight Princess: about 2.5 hrs into this game and it's VERY good. Good graphics for the wii. I really like the art direction compared to wind waker. It's hard not to notice the serious amount of jaggies (due to the low resolution) and the muddy low resolutions textures. 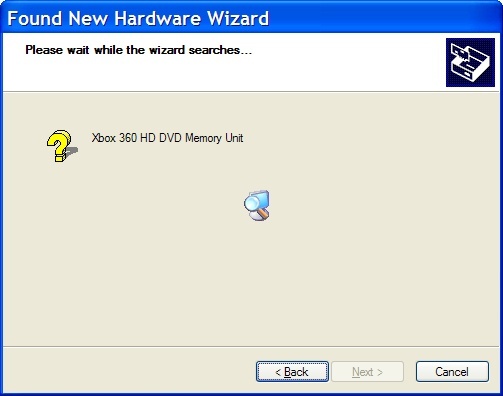 Again, this is probably due to being spoiled by the x360. It's good enough for THIS system. This game actually works quite well on the wii in part because you don't really wave your arms around a lot (ok more like small wrist movements). The only time you do is for fishing, sword attacks, and manual sling shot aiming (haven't got the bow yet). You can play this game for hours without any arm fatigue. 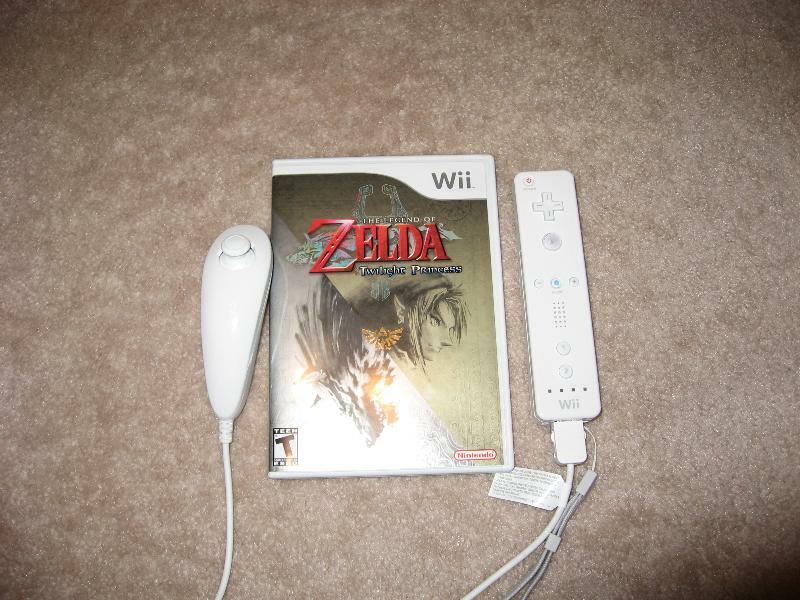 So those of you who were worried about zelda and the wii controls don't. It controls great. Lots of reading. Can't we get some voices? Same great zelda gameplay. This is the main reason to pick up the system. It won't disappoint (as long as your graphical expectations are in check). No regrets getting the system. I was pretty impressed by the hardware and control system, and I expect the software to get even more impressive as time goes on much like the NDS. Lets hope they flesh out the online service and virtual console soon. Highly recommended (especially for the Zelda fan). I just felt the bottom of the Wii after it's been in standby for a while. It is uncomfortably hot. What you can do is in your settings turn wiiconnet24 during standby to OFF. 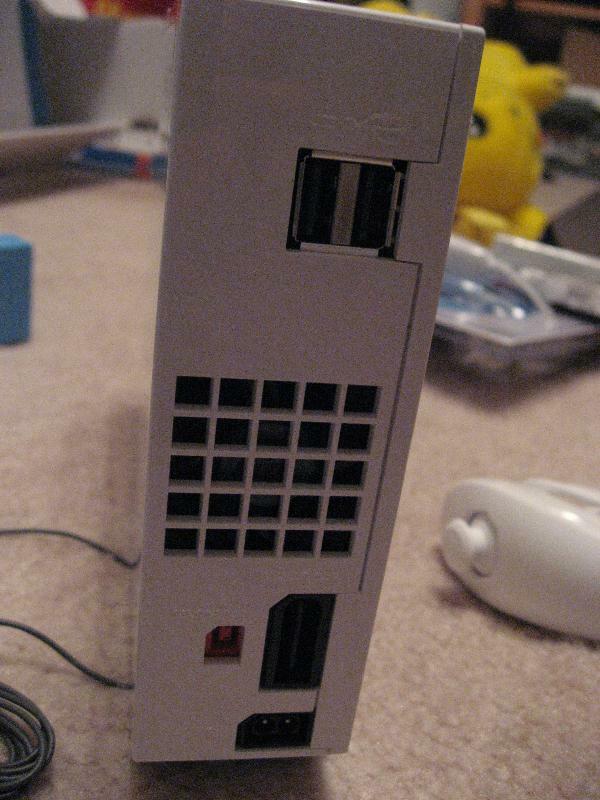 Now when you switch the system off with the wiimote it turns red instead of yellow. I switched to a vertical orientation. Strange that the bottom gets hotter than the top. For something what supposedly uses little electricity when in standby it sure generates a LOT of heat. I can live with doing manual updates. 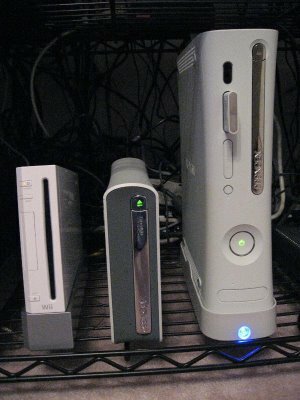 What's odd is the wii is cooler while playing than when in standby. My guess is the fans are running while on but turn off when in standby, yet standby generates more heat than they expected. 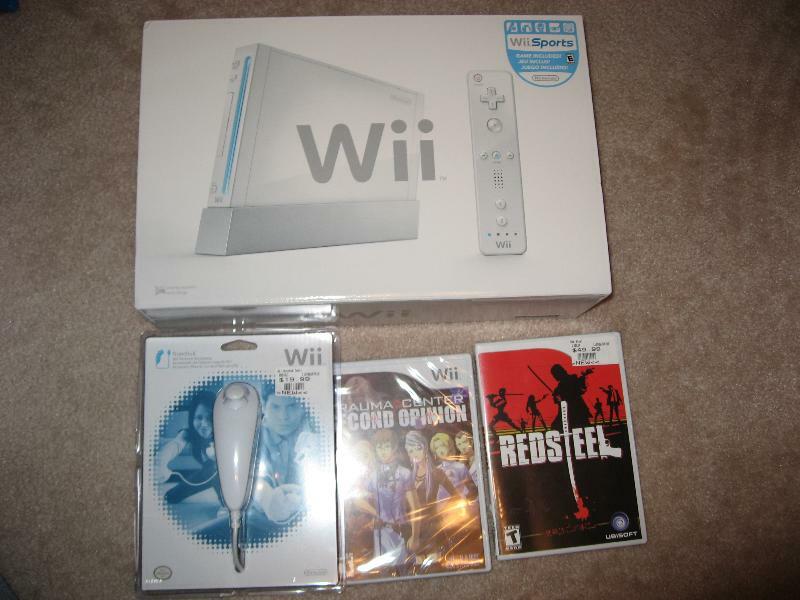 After playing red steel for 40min, both sides of the Wii barely feel warm. Btw, turning sensitivity to low helped a lot and now the game is much more enjoyable (and less nauseating). Sword fighting is pretty fun too. Finally got my component cables last night and hooked them up and a quick change to 480p in the settings menu. Much better! Zelda definitely looks cleaner and less blurry. I tried the weather forecast channel last night. After a system update I also had to enable wiiconnect24 standby mode which is just stupid. You get the usual weather information up to a 5 day forecast, UV index, and a globe view so you can check out the weather anywhere in the world. Yeah, I probably won't be using it much but maybe they can incorporate this data into some games in the future. - My replacement straps came in today. - Got the Wii Classic Controller and picked up Street Fighter II (SNES) and R-Type(TG16) VC games. The classic controller seems pretty average to me. It's too small. The analog sticks are too close together, so close that your thumbs can collide if you push right on the left stick and left on the right stick at the same time. The d-pad feels a bit mushy to me and doesn't spring back to center quick enough. This was very noticeable in SFII. R-Type seemed to run too fast for some reason (or am I imagining that). - Really easy to setup. Just plug it into a free usb slot. Go to the internet settings, setup a new wired connection, done. - Much faster (very noticeable) connection than wireless. I've never seen browsing, the store, weather, or news download data so quickly. - I'd also feel safer having system updates come down a wired connection. - Wii feels cooler in standby since I think it turns off the wifi radio since it's not being used. Highly recommended if you have a network drop handy. - viewed on a Samsung 40" LCD at 720p over VGA. - Setting it up was pretty easy. Pop in the install DVD, connect up the drive when asked to, and away you go. 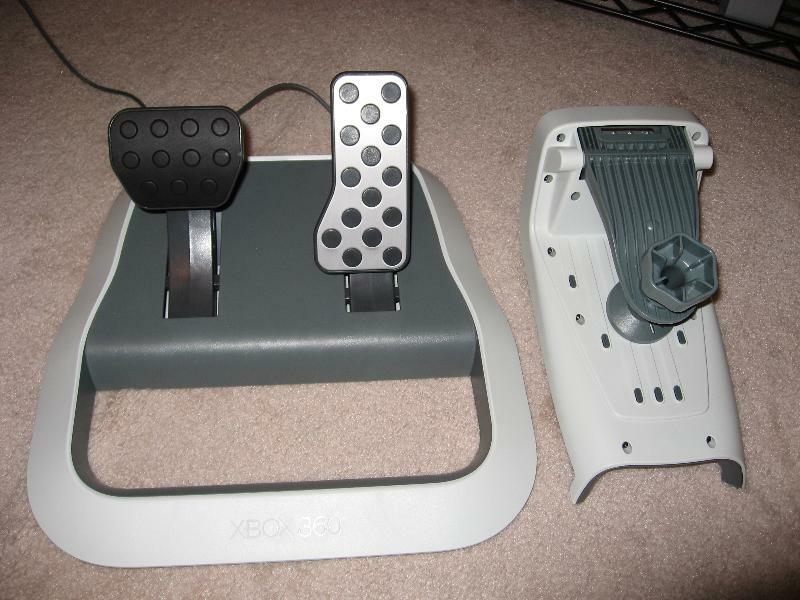 Didn't use the included remote since I already have the Logitech harmony xbox 360 remote. 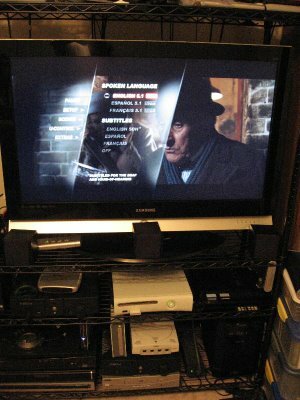 - Interesting that under the System|memory blade the HD-DVD player is listed along with the hard drive and memory card. It seems the drive actually contains 192MB of flash memory that basically looks like another memory card to the x360. 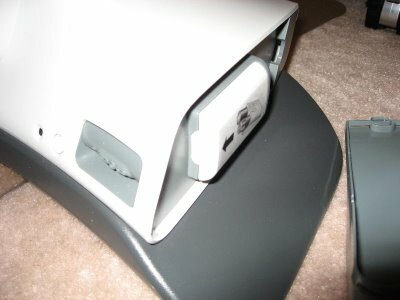 My guess it is used to hold hd-dvd user persisted data like bookmarks (hitting B creates one while watching a movie). - Picture quality is pretty stunning. I've watched about 70% of King Kong and it really shows off HD-DVD. It was smart to pick a modern film that uses a lot of digital technology so stuff like film grain isn't an issue. Lets put it this way. The wife and I have seen this already (own the dvd too). I asked her to take a look for a few minutes. It's been about 2hrs and she's still watching it, and we rarely watch a movie twice. - I've never seen blu ray or hd-dvd before. I have seen quite a lot of broadcast HD content. I have to say this is quite a step up. Even during the busiest scenes there are no artifacts at all. That high bit rate helps a lot. - The player is pretty responsive for the most part. What's nice is you can access all the menus and features without ever leaving the playing video. Everything is done with overlayed UI elements. Browsing chapters showed a slight pause. There is a bigger pause if you want to go back to the title menu. - Not a lot of extras. No commentaries. Extras are implemented by this thing called U-Control. Hit "A" to toggle it on or off. When on a little icon shows up in the bottom right corner. While playing the movie it sometimes lights up and says "gallery art" or "picture in picture." Hit the enter button during this time and a little PiP window pops open to display the extra material. It's a pretty cool feature but I kind of wish it also had the traditional dedicated dvd like extras. What if I don't want to watch contextual making of footage in a little window but want to see it full screen? Plus you have to watch the movie to find out when all these hot spots occur. Also, the sound mixing is poor during PiP. The pip stuff is way too quiet and the movie is still too loud. At least the player is all done in software so it should be easy for Microsoft to upgrade it in the future. 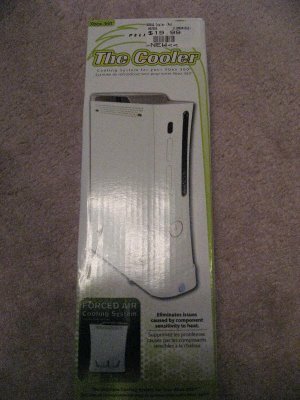 - The top of the x360 didn't feel any warmer than when playing a game. The hd-dvd drive itself didn't even feel warm. - The drive powers on and off in sync with the X360. - It's very quiet while playing a movie. 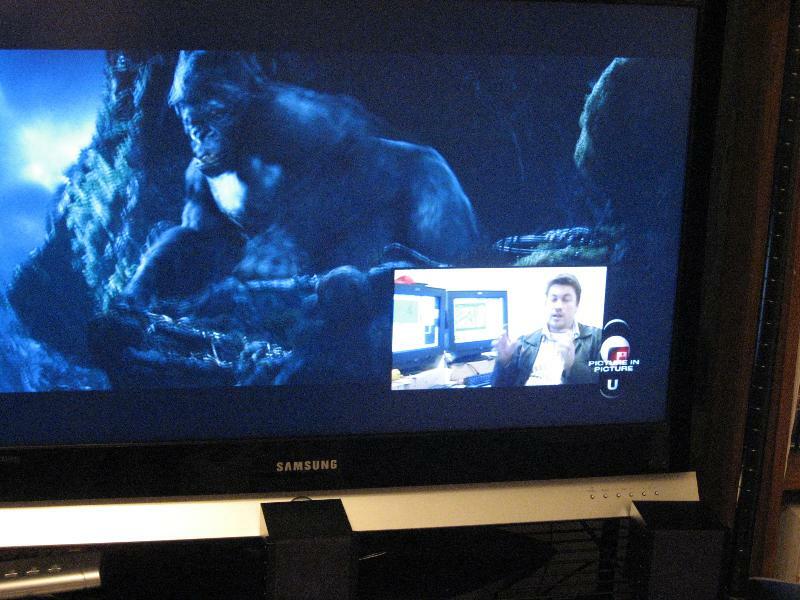 - I pulled out my King Kong DVD and watched a few scenes for comparison. I can definitely see the general lack of detail blurriness due to the lower resolution and scaling. Also, the colors don't pop like the hd-dvd version. The dvd navigation is quite a bit more responsive especially going up to 32x speed. UPDATE: regular dvd's work just fine in the hd-dvd drive. DVD+R work fine too. Oh well it was worth a try. It would be smart of Microsoft if they wrote a windows based player and drivers for this device.